A warm welcome awaits you at Lowtrow Cross an Adults only 4 Star touring site. 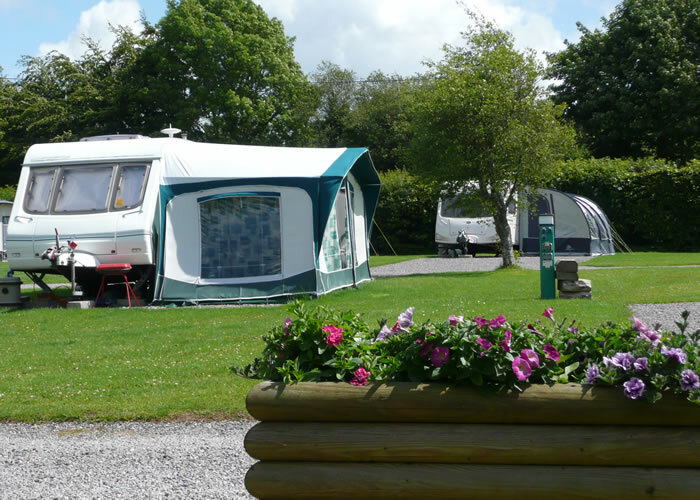 We are a small, quiet, friendly park set in a secluded area, with lovely views of the surrounding countryside. Children under the age of 17yrs are not allowed on site which makes us the perfect choice for couples looking for a relaxing, peaceful break and appreciate the natural surroundings. 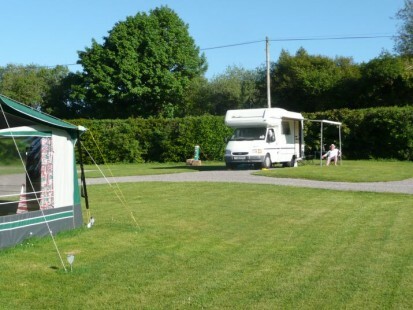 We live on site and are proud of our “home”, our friendly wardens Rob and Karen and Keith and Amanda, who are always happy to help, can be found working hard on site maintaining the grounds and facilities to a high standard but don’t just take our word for it, read the independent reviews from other campers. Our aim is to keep everything as unspoilt as possible while still offering the essential facilities (check out our facilities page) that will ensure your visit with us is a pleasurable one, no games room or entertainment here, just peace and quiet in a relaxed and friendly atmosphere. For those who need to keep in touch with the outside world then Free Wi Fi is available throughout the site. Dogs are most welcome free of charge, we have a small dog walk on site which is ideal for those early morning and late outings and 5 mins away there is some fabulous off lead walking on Haddon Hill and around Wimbleball Lake. If you want a break from cooking or fancy sampling a pint of local beer or cider, the Inn adjacent will welcome you and your well behaved dog. They are open 7 days a week and do food all day from midday, breakfast can be pre ordered. Contact the Inn on 01398 371220. 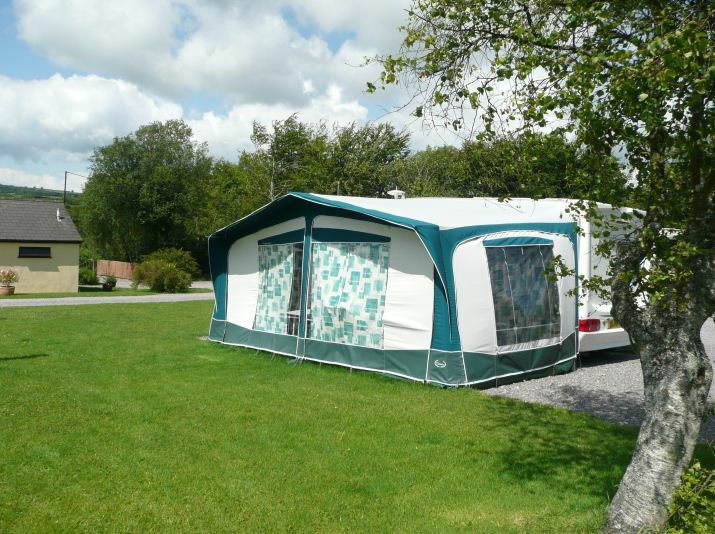 All caravan and motorhome pitches are gravel hardstandings surrounded by grass and include 16amp electric hook up, digital TV point (long lead required) and awning. There is a water tap close to each pitch and being a very small site all of the facilities are close by. One inclusive price for each pitch per night, no hidden extras makes it easy to cost the price of your stay, there is no charge for pup tents, gazebos, (providing they fit on your pitch without encroaching on your neighbour) trailers or extra cars, please check our Tariff Page. Tents are catered for in a separate camping field, we have 2 electric pitches and 2 non electric pitches, please note that all pitches are sloping. People with trailertents may choose either a hardstanding or grass pitch. Small or medium sized (4/5 berth) tents only are allowed, we regret cannot accept larger tents. Open fires are not permitted, but campers are welcome to have BBQ’s providing they are kept off the grass. Seasonal Pitches are available please contact us for further details. For more pictures of the site and local area visit our gallery.